Rothor is moored in the Haringvliet, one of the historic harbours of Rotterdam, located in the centre. Next to the Rothor is the bridge (Spanjaardsbrug) to the Oude Haven (Old Harbour). In the Old Harbour you can sit and have a drink by the water. There are bars and restaurants. Leuvehaven, Haringvliet, Oude Haven and Wijnhaven are filled with classic Dutch boats. The area is a mix of very old warehouses, bridges, ships, bars and modern skyscraper apartment buildings. The very famous and striking Cubic Houses are just around the corner. 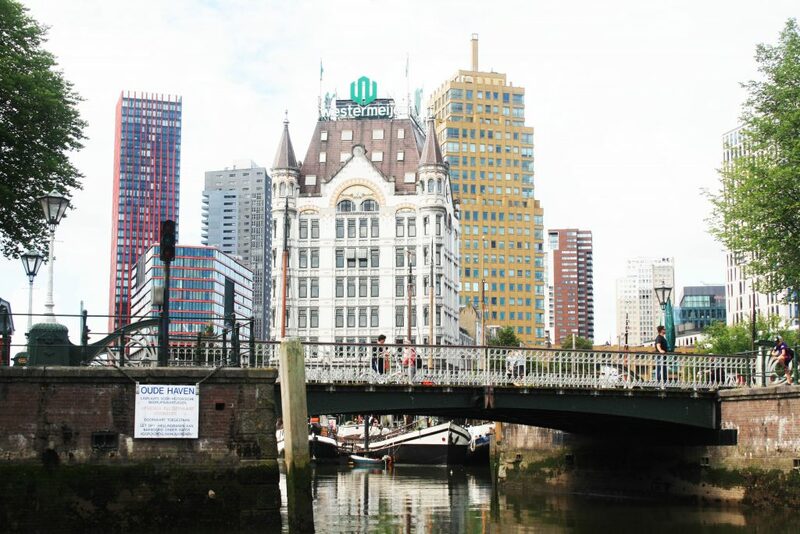 A little bit further is the Markthal, a very remarkable building, not to be missed when you visit Rotterdam! De Rothor is located in the Haringvliet opposite nr. 100 alongside the Animathor. Rothor can be reached by a gangboard. From Rotterdam Centraal take tram 21 or 24 direction De Esch get off at stop Blaak. Walk through the Old Harbour to Haringvliet. Parking must be paid in the centre of Rotterdam. You can park in the street and pay with your bank card (cash is not possible). Another option is to park your car near the Watertorenhaven (de Esch) at Watertorenweg 180. This is the location of Eric’s boat Logeerboot Rotterdam Kralingen. From this locationyou can take a tram (#21 or 24) to Blaak. From Watertorenweg you can also take a Rotterdam Watertaxi, a very fast taxiboat. Stop for Rothor at Boerengat.